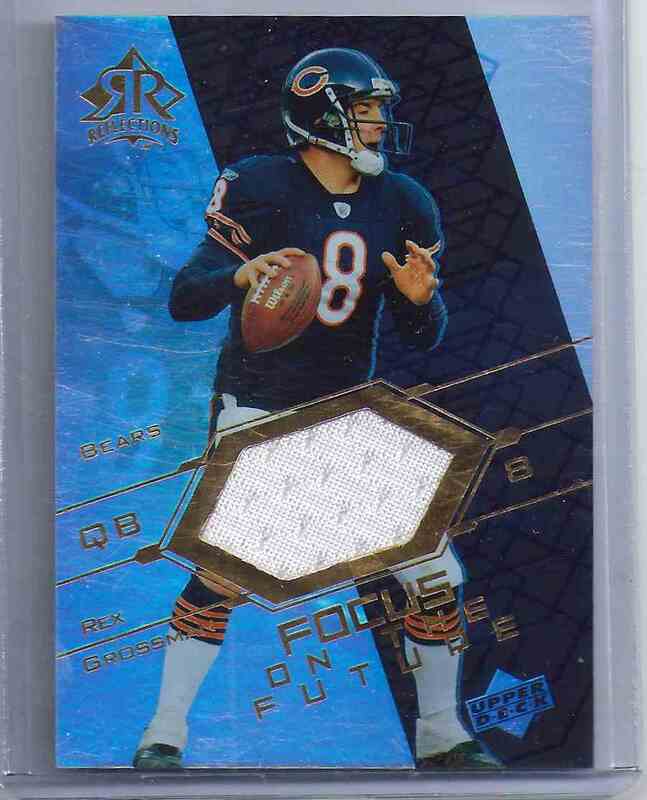 This is a Football trading card of Rex Grossman. 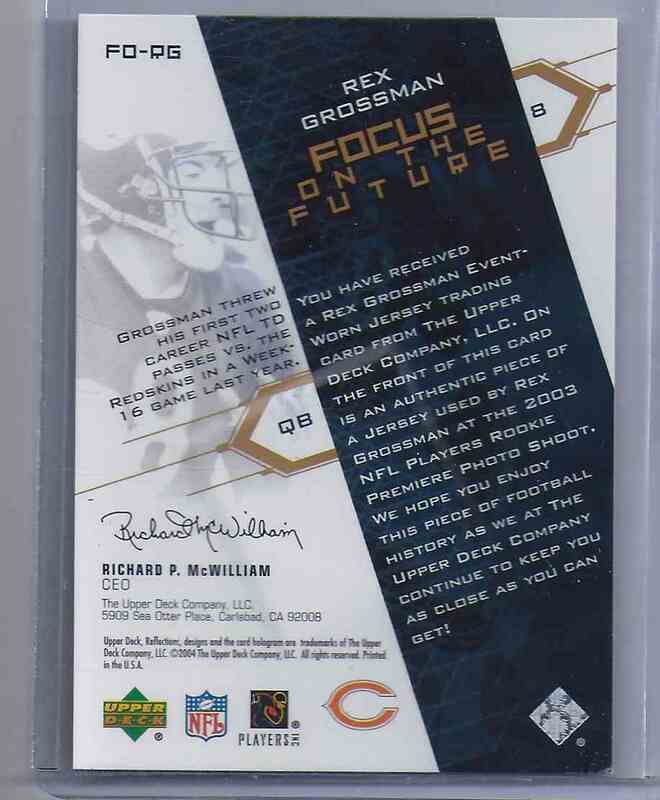 It comes from the 2004 Upper Deck Reflections Focus On The Future set, card number FORG, embedded Jersey. It is for sale at a price of $ 5.00.